CryptoMonsters has launched. It’s a new blockchain game based on the Litecoin blockchain where cute, quirky and collectible cryptomonsters are spawned by the CryptoGod. Each cryptomonster has a unique genome and multiple characteristics. As the monster grows and reaches the next evolutionary stage, it increases its chances of evolving even further and becoming more sophisticated. Cryptomonsters level up by winning evolutionary rounds, automatically consuming 30% of their opponents. Each cryptomonster is priced according to its evolutionary level, with high levels retaining higher values. 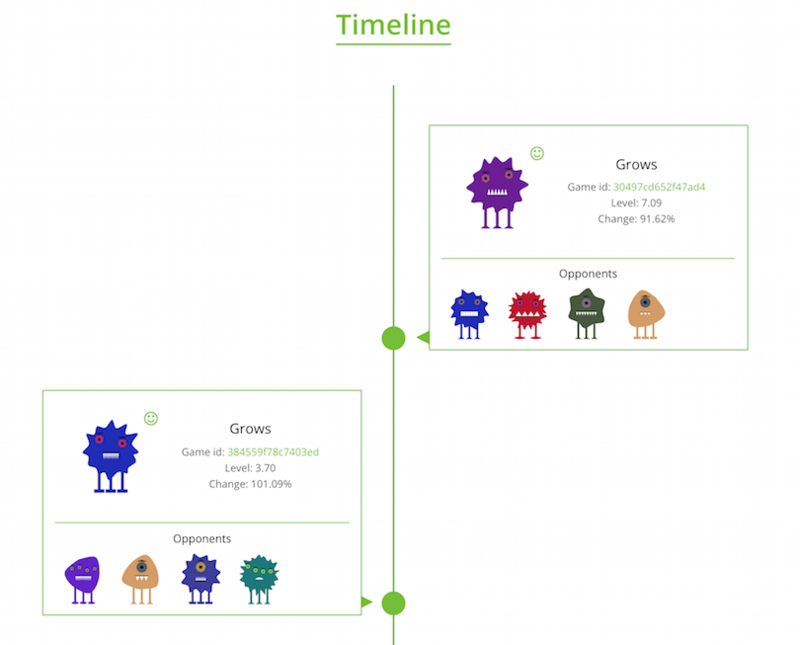 A cryptomonster’s timeline shows the complete evolutionary history of a cryptomonster, from its birth to death. Players can hedge their bets by splitting a monster into two smaller monsters or by buying other monsters. Players can also sell their own monsters on the marketplace, once they’ve evolved, turning a profit. But there are limitations: a cryptomonster’s selling price can’t be less than 0.1 LTC and the maximum discount on the nominal price is 90%. Monsters below level 1 can’t be sold at all. You can join the crypto evolution here.